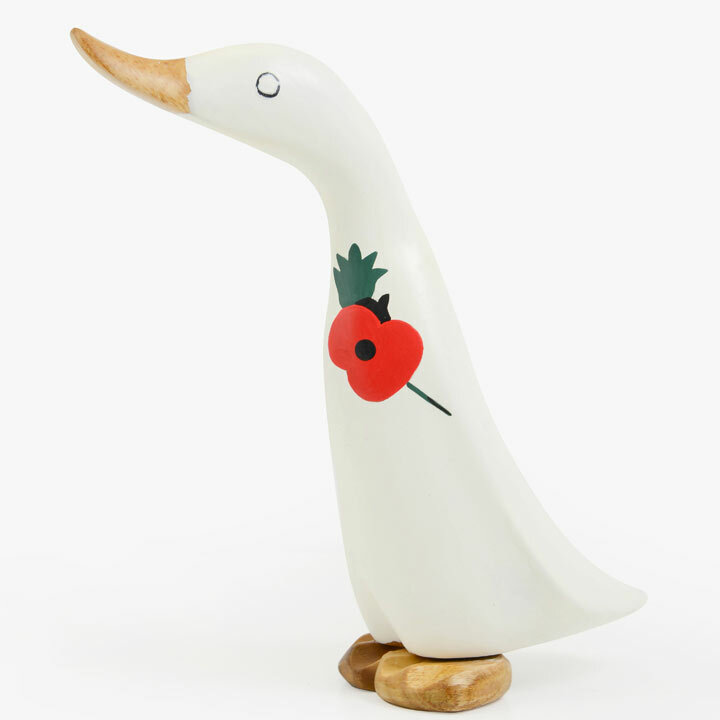 Show your support and help raise money for SSAFA with this special edition hand-carved bamboo, hand-painted in white Poppy Duckling. Approximately 9.5cm x 6cm x 19.5cm high. Inspired by the grain on the bamboo imitating the feathers of a duck. "SSAFA, the Armed Forces charity, provides lifelong support to our Armed Forces, veterans and their families. We began our work in 1885 and in 2017, our staff and teams of volunteers helped more than 73,000 people - from Second World War veterans to those involved in more recent conflicts and their families."